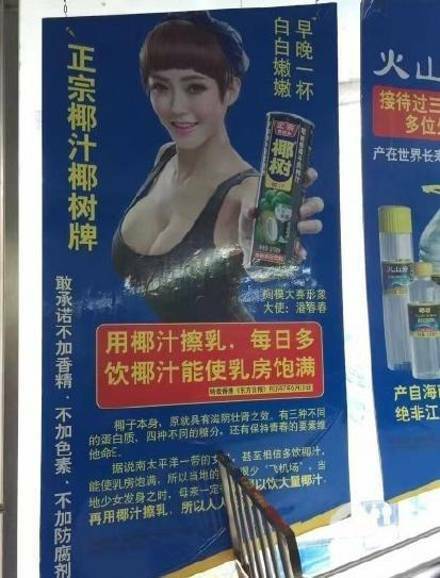 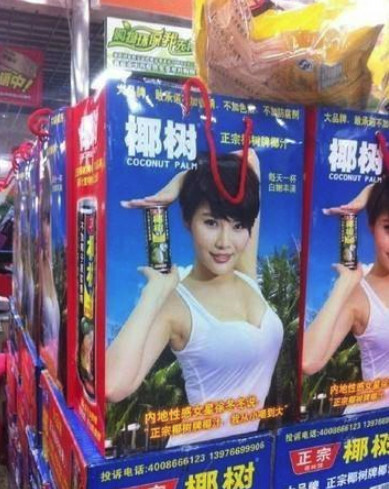 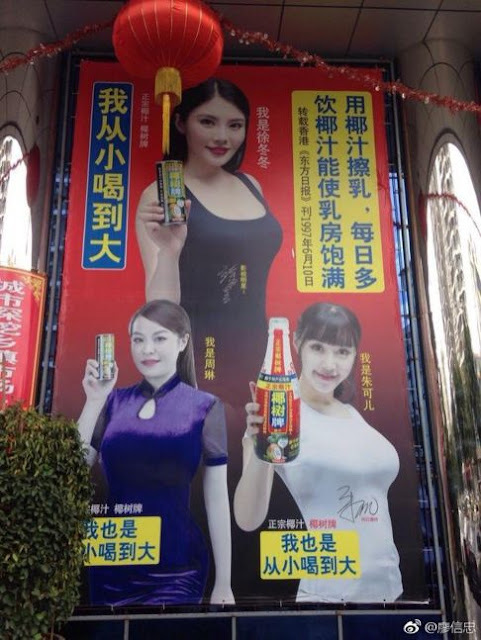 A Chinese coconut milk manufacturer says that its beverage will make a woman's breasts grow bigger. 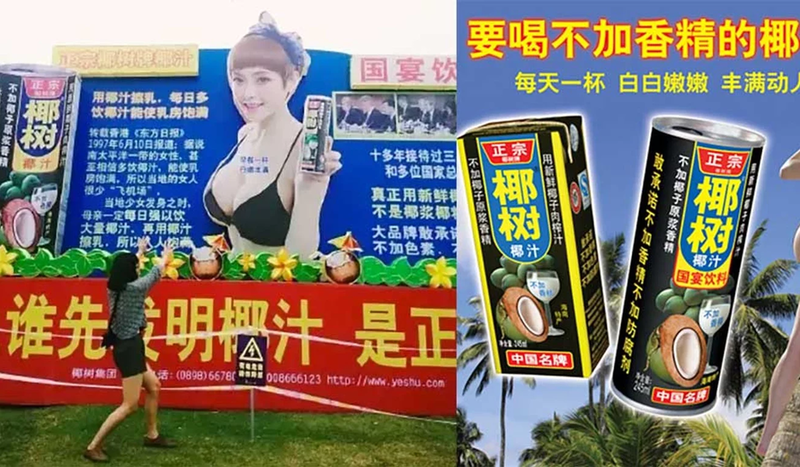 The company, Coconut Palm, has spent several years promoting this claim in a series of "tone-deaf" advertisements that offer no evidence to support their claims - causing many to voice their doubts. While their 2019 pitch features big breasted women on the drink's distinctive black packaging, a 2017 ad featuring scantily clad women folicking in the ocean recommends that women "drink one can every day, [your] curves will excite people, whiter and more plump," and "drinking more coconut milk every day can make [your] breasts fuller," reports the South China Morning Post. Our extensive research for this totally legitimate article also turned up no scientific evidence of breast-enhancing qualities linked to coconut milk.